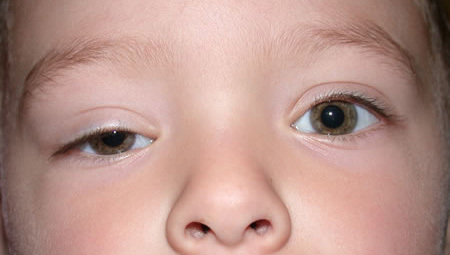 –Ptosis is drooping of the upper eyelid of one eye or both. –It could be congenital , which is the most common type , due to weakness of the levator muscle that lifts up the upper eyelid. This congenital causes could be genetic or due to some infections or drugs that had been used by mother during pregnancy period. –Another kind of ptosis is the paralytic one, which occurs due to paralysis of the third cranial nerve which is responsible for the movement of the eye and eyelid muscles , or could be due to paralysis of the sympathetic nerves that share in lifting up the upper eyelid. This paralysis of the nerves may occur due to traumatic damage , infections , vascular obstruction or tumors. –Thirdly,ptosis could be of mechanical cause , where there is some load over the upper eyelid that makes it heavy and droop down, as some tumors or oily cysts or due to recurrent inflammations that make the upper lid heavier. –Lastly , ptosis could be of traumatic etiology, as due to sharp trauma or burns, which cause damage to the levator muscle and lead to eyelid drooping. 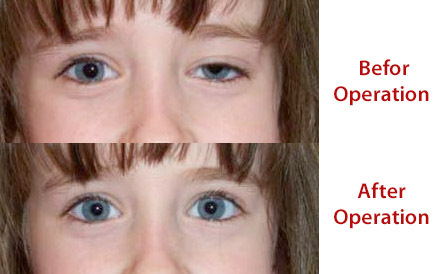 –In congenital ptosis , if the degree of ptosis is so severe that it covers the pupil and hence inhibits vision, this leads to visual laziness ( amblyopia) . That’s why this kind of ptosis should be treated a.s.a.p. In other ptotic cases , treatment is usually done by surgical operation that lifts up the eyelid to the desired level at any age that patient prefers.